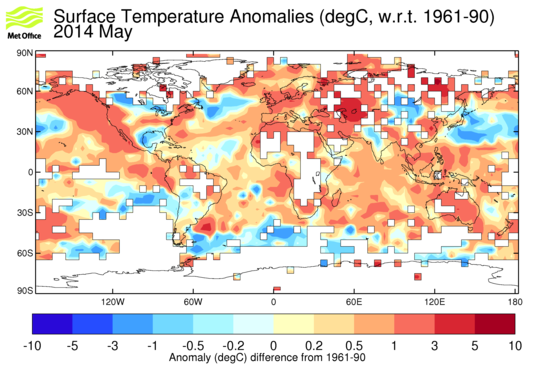 These two figures show the global temperature anomaly distribution for the most recent month for which there is data in HadCRUT3. The first plot shows the monthly anomalies. The second figure highlights regions with values which are unusual compared with the 1961-90 averages. 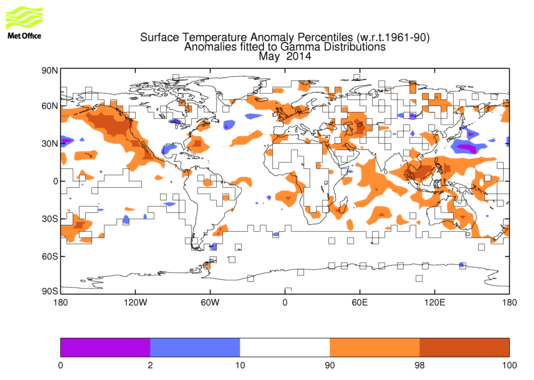 The plot shows the regions which exceed the highest (or lowest) 10% and 2% of values seen in the climatology period.